At just 0.4 millimetres (0.016 in) in size, Euryplatea nanaknihali is the world's smallest fly (Diptera). Due to its small size, the viscosity of air is problematic for the insect, and even the smallest air currents are a large problem. Scientists expressed amazement that such a tiny animal could still have all the organs of a normal insect. Crematogaster ants may be the host of E. nanaknihali. 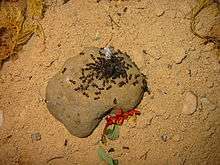 They are believed to lay their eggs in the body of small Crematogaster ants. The larva devours the body of the ant, within which they mature before emerging as adults. 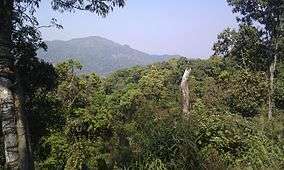 E. nanaknihali was first discovered in Thailand's Kaeng Krachan National Park. The species was found in a number of national parks in Thailand. 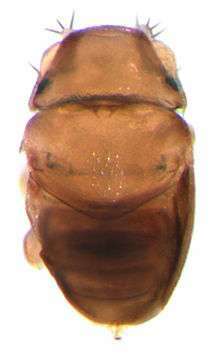 Brown named the fly after Nanak Nihal Weiss, a thirteen-year-old interested in insects who frequents the Natural History Museum of Los Angeles County with his father. 1 2 Chelsea Whyte (July 2, 2012). "World's Smallest Fly Decapitates Ants and Lives in Their Severed Heads". International Science Times. Archived from the original on January 4, 2014. Retrieved July 20, 2012. ↑ "World's smallest fly discovered in Thailand". ScienceBlogs. July 3, 2012. Archived from the original on January 4, 2014. Retrieved January 4, 2014. ↑ Black, Debra (July 9, 2012). "World's tiniest fly discovered by former Torontonian". Toronto Star. Archived from the original on January 4, 2014. Retrieved January 4, 2014.